Copper appears to be one of the main environmental factors that cause Alzheimer’s disease and contribute to its progression, according to a study of mice and, in some phases, human brain cells. The researchers observed that copper, a common metal prevents the clearance and accelerates the accumulation of toxic proteins in the brain. The author who conducted this study is Rashid Deane, a research professor in the department of neurosurgery at the University of Rochester Medical Center. The findings were published Aug. 19 in the journal Proceedings of the National Academy of Sciences. In a medical center news release, Professor Rashid Deanne, stated: “It is clear that, over time, copper’s cumulative effect is to impair the systems by which amyloid beta is removed from the brain”. The professor further added that this impairment is one of the key factors that cause the protein to accumulate in the brain and form the plaques that are the hallmark of Alzheimer’s disease. The most common form of dementia among older people is Alzheimer’s disease. About 4.5 million Americans suffer from this condition, which usually begins after age 60. Dementia is a group of symptoms that are caused by various diseases or conditions. People with dementia experience periods of increased confusion and agitation as the sun goes down — and sometimes through the night. They have loss of memory function and declining ability to cope up with everyday life. Several factors contribute to the development of Alzheimer’s disease. Family history is just one of them. People have extensive exposure to copper in different ways. Copper appears in drinking water carried by copper pipes, in nutritional supplements. It is also present in foods such as red meat, shellfish, nuts, and many fruits and vegetables. 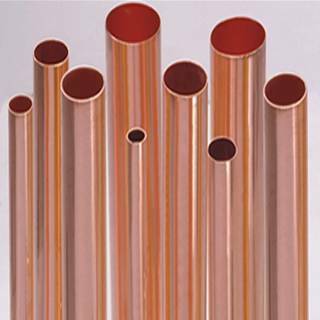 Copper plays an important and healthy role in nerve conduction, bone growth, the formation of connective tissue and hormone secretion. Blood-brain barrier controls what enters and exits the brain. As per this research by Professor Rashid, copper can accumulate in the brain and cause the blood-brain barrier to break down. This results in the accumulation of the protein amyloid beta, which has been linked to Alzheimer’s disease. A note of caution: The study has been conducted on mice. Although studies involving animals can be useful, they frequently fail to produce similar results in humans. The researchers said their results must be interpreted with caution, as the study did not prove a cause-and-effect relationship between copper exposure and Alzheimer’s.